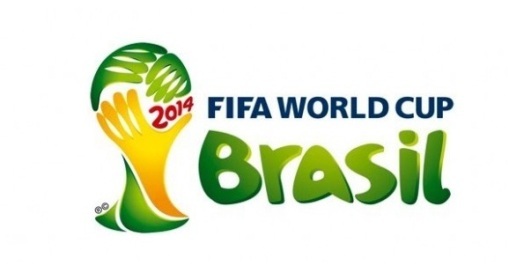 The 2014 World Cup starts in São Paulo next Thursday as the host country, Brazil, take on Croatia. Although I made a gut-reaction to the draw when it was made, a lot has changed since then. Most notably, Radamael Falcao – who I predicted would be the Golden Boot winner – is out of the tournament having injured his ACL in January, an absence that will severely hamper Colombia’s chances of making the latter stages. Also, Luis Suarez and Cristiano Ronaldo head to Brazil short of full fitness, so their ability to lift their respective countries to a new level is questionable. The most obvious place to start is with Croatia the hosts, Brazil, who will be playing a World Cup on home soil for the first time since 1950, when they were beaten in the final match by Uruguay. Neymar is the player most likely to inspire the Seleção to their sixth triumph, having been the cornerstone of their success last summer in the Confederations Cup. However, over the last two club seasons with first Santos and then Barcelona, Neymar has not reached the high levels he set in the earliest part of his career, but is definitely the one Brazilian in 2014 who could put the team on his back and take them a long way in the World Cup. With the pressure rising on the hosts, Neymar’s jovial personality, along with David Luiz, should help Brazil’s squad relax and ease the pressure on them. Since they reappointed Luiz Felipe Scolari – who took them to World Cup glory in 2002 – as manager, the team unity has improved dramatically and it would shock nobody if they went all the way this summer. If the tournament were merely a measure of midfield talent, then I would rate Brazil as joint favorites with Spain and Germany, since the collection of Neymar, enforcer Luis Gustavo, Paulinho, Fernandinho, Ramires and Willian are as good as any you would find at this year’s World Cup. However, up front Hulk, Fred and Jo are hardly up to the standards of legends like Ronaldo or Romario, while in goal, Julio Cesar looks like his best years are behind him and he has spent the last few years playing for Queens Park Rangers and Toronto FC. I do not think the gaps in their squad will cost them in the group stages, which I expect them to come through comfortably, but in the second round they will face either Spain, Netherlands or Chile (sorry Australia) and against that level of opponent, they could be found out. Brazil face Croatia in their first match and the Europeans will be without their main striker, Mario Mandzukic, who was sent off in the second leg of their playoff against Iceland and is suspended for the contest. In his place will come the Brazilian born Eduardo, while they will also have a Champions League winner in the form of Luka Modric in their starting lineup. Modric is just one of four former Tottenham players in Croatia’s squad, joining Niko Kranjcar, Vedran Corluka and goalkeeper Stipe Pletikosa, who spent some time at White Hart Lane on loan, though never made an appearance for Spurs. With a tough opener, it does not get any easier for Croatia who must play in the tropical Amazonian conditions of Manaus in their second game against Cameroon, though if they can play a possession game against the African champions, the heat might actually favor them. The big question for Cameroon is whether or not they can keep Samuel Eto’o happy, since the veteran striker refused to play a match against Cabo Verde in 2012 because of what he described as an “amateurish” setup of the national side – move over Roy Keane. The strength for the Indomitable Lions is in the centre of midfield, where they have Stephen Mbia and Alex Song, while the best option up front might not actually be Eto’o, but rather Vincent Aboubakar, who scored 16 for Lorient in Ligue 1 this season. Finally in Group A comes Mexico, who would not have even made it to the playoffs had they not been rescued by the USA scoring late on against Panama to keep El Tri in fourth place in the Hexagonal qualifying group, despite their own loss to Costa Rica. It is not just the struggles in qualifications that suggest Mexico may perform badly in Brazil, they will also be without their best player, Carlos Vela, who has made himself unavailable for selection due to his poor relationship with the country’s football association. However, they have made it to the Second Round of the last five World Cups and new manager Miguel Herrera has fostered more of team spirit in the squad. Up front, Oribe Peralta is a proven goalscorer, while Javier Hernandez, who did not have a great season for Manchester United, still provides a threat to opponents and could make a good impact off the bench in particular. Predicted Group Standings: 1. Brazil 7 points; 2. Mexico 4 pts; 3. Croatia 3 pts; 4. Cameroon 1 pt. 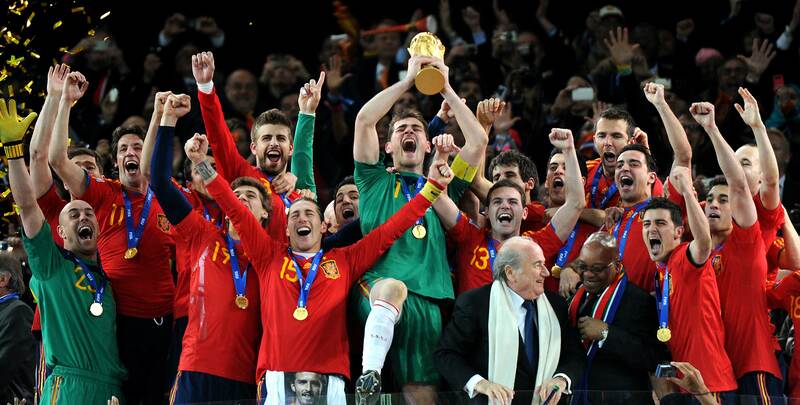 It is strange that for so long before they found success at international level, Spain were considered perennial dark horses heading into a major tournament, but this year the World Champions and two time European Champions are being widely predicted to struggle in Brazil. Alongside having won the last three international trophies available to them (I do not count the Confederations Cup because, why would I? I also do not put any credence on who wins the Community Shield) Spanish clubs also lifted this season’s Champions League (Real Madrid) and Europa League (Sevilla). In goal they have Iker Casillas, who is no longer first choice for his club and made a mistake in the Champions League final that gifted Atletico Madrid the opening goal, but who can still be a shot-stopper who commands his area well. The rest of the squad has talent all over the park, but the clear strength remains in midfield, even if Xavi’s influence over matches is waning as he gets older, he remains one of the best passers in the game. With Andrés Iniesta, David Silva, Cesc Fabregas, Sergio Busquets, Xabi Alonso, Koke, Juan Mata, Pedro and Santi Cazorla all available alongside Xavi, Spain will create lots of chances and enjoy plenty of possession, which should help in any particularly hot fixtures. Up front, the Brazilian born Diego Costa is unlikely to receive a warm welcome from the home supporters, but his recovery from injury would be crucial in adding another dimension to Spain’s play beyond the famed Tiki Taka. Other than Costa, New York City FC bound David Villa is most likely to get the goals, though Fernando Torres will also be eager to prove that he is not a spent force after a couple of down seasons at Chelsea. The first match in Group B will be a repeat of the 2010 World Cup Final, as Spain take on the Netherlands, whom they beat in extra time four years ago in South Africa. The chances for the Dutch rely on the fitness of two players: Arjen Robben and Robin Van Persie, the latter of whom missed a lot of playing time for Manchester United this past campaign. Their best young hope is Memphis Depay of PSV Eindhoven, who has a blistering shot and an eye for goal, while neither Dirk Kuyt or Klaas Jan Hunterlaar have ever found the net on a regular basis at international level. The biggest challenge to the two established European nations will be Chile, who are a very attacking side, anchored by the Juventus midfielder Arturo Vidal and their team spirit is one of the best traits. Defensively they could be suspect, especially from set plays and one of their main central defenders, Marcos Gonzalez, is currently without a club so he could be short of match sharpness. Nevertheless, Chile should get goals with their exciting attacking play and their main threat will come from Barcelona striker, Alexis Sanchez. Australia round out the group and their main player remains Tim Cahill, who scored the nation’s first ever World Cup goal eight years ago, but is far from his best and now plies his wears in MLS for New York Red Bulls. To sum up the massive task that Australia face in Group B, they have called up Massimo Luongo for the tournament, who was on the books at Tottenham for some time, but now plays for Swindon Town in English League One. It is possible that the Socceroos are turning to youth with one eye on 2022, when they might host the competition if FIFA decide to hold a revote with all the controversy surrounding Qatar’s successful bid. As mentioned above, when the draw was first made, I really liked Colombia’s chances of progressing not just from the group, but all the way to the semi-finals of this World Cup. However, since Radamel Falcao has been ruled out due to injury, they have lost not just one of the best goalscorers on the planet, but also the fulcrum on whom much of their play was based. In his place will come Jackson Martinez, alongside Teofilo Gutierrez up front and that pairing should score enough to get them through a relatively easy group, but they are unlikely to progress much further. One thing in their favor is that Colombia will have only a short distance to travel for all three of their first round fixtures from their base in São Paolo, whereas other countries face 3/4 hour flights each way for some of their group matches. Now that Colombia have lost their star player, the group is there for the taking for Côte D’Ivoire, who are a very well rounded side and will be eager to get past the first round, having gone out at that stage in the last two World Cups following very tough draws. This will be the last World Cup for Didier Drogba, who remains a physical presence and goalscoring threat even at 36, while either side of him will be Gervinho – who had a good season for Roma – and Solomon Kalou, a former Chelsea player now at Lille. 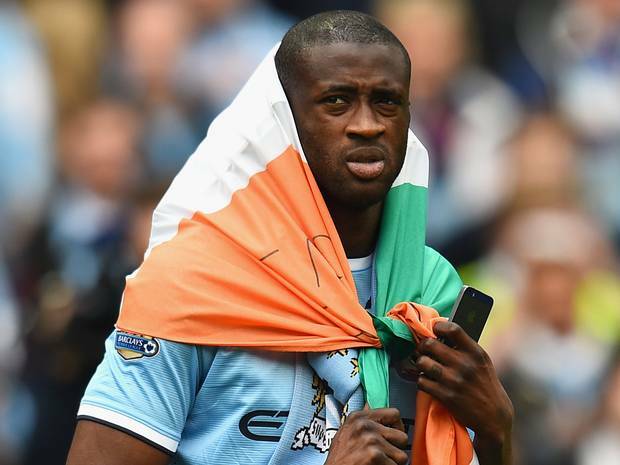 Hopefully the Côte D’Ivoire coaching staff made a big deal belatedly of YaYa Toure and he will be happier than he now is with Manchester City, for whom he just played a pivotal role in their title winning season, scoring 20 goals from midfield. On the bench will be Swansea’s Wilfried Bony, who represents a good alternative either in place of Drogba, or alongside the veteran striker. The biggest weakness for Côte D’Ivoire is defensively, where they are particularly vulnerable against set plays. Also, the expected presence of Kolo Toure in their starting XI – who made several high profile mistakes for Liverpool in the most recent campaign – is not exactly an encouraging sign. One team who will struggle to take advantage of any defensive weaknesses of opponents is Greece, who will be lining up the twin….let’s call them threats…of Giorgos Samaras and Kostas Mitroglu, neither of whom are prolific in front of goal. Somehow, the center of the midfield is still occupied by Giorgos Karagounis, 84 37, who was pivotal to Greece in their 2004 European Championship victory (compulsory mention of which I have now done, so can we never think about that boring success ever again, please?). Group C is rounded out by the much more exciting Japan, who are fast on the counter attack and have the talented Kesiuke Honda and Shinki Kagawa available to them. The Japanese have known they were going to be at this World Cup longer than anyone other than Brazil, as they qualified easily from the Asian region at the start of June 2013 and since then, they have beaten Belgium and drawn with the Netherlands in impressive friendly results. As always seems to be the case with them, Japan’s team will be one of the fittest at the tournament and that could make the difference should any of their matches end up being played in searing heat. Predicted Group Standings: 1. Côte D’Ivoire 7 pts; 2. Colombia 4 pts; 3. Japan 4pts; 4. Greece 0 pts. Another South American country, another big question surrounding a star player’s fitness – this time Uruguay and Luis Suarez. After a heavy challenge in Liverpool’s final game of the season, it was announced that Suarez would struggle to be fit for his country’s first fixture in the World Cup, though he is now expected to start. Unlike Colombia, Uruguay still have another top class striker to play in the form of Edison Cavani, while at 32, Diego Forlan could still make an impact off the bench and remains a danger from free kicks around the box. Midfielder Nicolas Lodeiro possesses a lot of talent and plays his club football in Brazil, so should feel at home during the tournament, while Atletico Madrid winger Cristian Rodriguez is full of tricks and could be the key to Uruguay unlocking defenses. I would fully expect this team to top the group, but their hopes of matching or bettering their performance from 2010 – when they made the semi-finals, in large part because of goal line handball by Suarez against Ghana in the quarter-final – depends on their talisman’s fitness improving throughout the competition and that he does not break down. One country who will feel very familiar with Luis Suarez is England, but that does not mean they will know how to stop a striker who scored 31 goals in the Premiership last term. Roy Hodgson’s own star striker, Wayne Rooney has not played well in an international tournament for 10 years and is coming off a tough domestic season for himself and Manchester United, so there will need to be a stark change in fortune if he is to have any impact in Brazil. Hodgson would be well to use his young talent profusely this summer; the game in Manaus would be a perfect opportunity to bring Rahim Sterling off the bench in the final 20 minutes to attack defenders who will likely be suffering in the Amazonian conditions. The chances for the English of progressing out of the group really depend on who makes the starting lineup – if you see a combination of Steven Gerrard, Frank Lampard and James Milner take the field, do not expect anything other than the same disappointment they have suffered in other recent major tournaments. However, if the likes of Adam Lallana, Jordan Henderson, Ross Barkley and Sterling are deployed in midfield, with Daniel Sturridge up front, England could have a vibrancy and dynamism they have been lacking for many years. In goal, Joe Hart had a good second half of the season after Manuel Pelligrini restored him to the lineup following a period on the sidelines, while in Leighton Baines, England have a top class penalty taker. Actually, if they do end up in a shootout, I boldly predict that for the first time at a World Cup, England will actually be successful – but then again, I do not think they will get out of the group. Instead, I expect Italy to take second place behind Uruguay, even though all signs are that they are on a downward turn in terms of quality right now. What the Italians do have is one of the most enigmatic strikers in the game in the form of Mario Balotelli, who could destroy teams single-handedly, or be sent off in the first 10 minutes against England and not appear again in the tournament – both options are in play. In 2010, Italy fell at the group stage but four years before that, they won the World Cup in spite of their domestic game being in crisis following the calciopoli scandal. With no Italian clubs making the quarter-finals of the Champions League this season, their domestic game is hardly thriving, yet they still have quality players like Andrea Pirlo, Lorenzo Insigne and Daniele de Rossi, not to mention the reassuring presence of Gianluigi Buffon in goal. Finally, in Group D is C0sta Rica, the team who will be most familiar with the conditions in Brazil, something I thought would be so important back in December, I tipped them to finish in second place. My enthusiasm for Los Ticos has waned slightly since then, but in qualifying they did record impressive home victories over both Mexico and the USA, conceding only seven times in their ten matches in the Hexagonal. Costa Rica have a young squad and their goalkeeper, Keylor Navas, is one of their best players and will need to perform to the peak of his abilities if they are to have any chance of making the knockout stages. Up front, Joel Campbell – who is on the books at Arsenal – showed his talents while on loan for Olympiakos, scoring a good goal against Manchester United in their last 16 tie, but Los Ticos are likely to struggle for goals in Brazil, especially given the recent dip in form of Bryan Ruiz. I was all set to talk about Franck Ribery being crucial to France’s chances of making the latter stages of this World Cup, then news filtered through on Friday that he had been ruled out of the World Cup. While that is definitely a negative for Didier Deschamps team, they still have plenty of attacking talent to call upon, most notably Real Madrid striker, Karim Benzema. Another option up front is Arsenal’s Olivier Giroud, while behind him Paul Pogba and Yohan Cabaye form the basis of a strong midfield who can also score goals. Hugo Lloris is one of the best goalkeepers in the world, but he also tends to suffer from rushes of blood to the head and I would predict he will be the first keeper to receive a red card in Brazil. Their record in the last four World Cups has been up and down: 1998 Champions; 2002 first round exit, no goals; 2006 losing finalists; 2010 first round exit, one goal. That suggests they are due for a good tournament, but I do not see them making a serious challenge to win the trophy for a second time. The other European team in Group E is Switzerland, who were actually named as one of the top seeds for the tournament and have a very young and attacking team. Unlike the Swiss sides of 2006 and 2010, the current version is not ultra-defensive and they should be very exciting to watch, especially the talented 21 year old Ganit Xhaka pulling the strings in midfield. Up front their main threat will come from Bayern Munich’s Xherdan Shaqiri, while the winger Josip Drmic is two-footed and possesses good skills around the box. Playing in his third finals, goalkeeper Diego Benaglio is commanding in his penalty area and should give some assurance to an otherwise shaky defense. Also lookout for Valentin Stocker on the left-wing, who is quick and tricky, plus Fulham’s Patjim Kasami, who can score spectacular goals from midfield. The 2904 mile journey they face to Manaus for the match against Honduras could be a hindrance, but Switzerland have good team spirit and I expect big things of them in this World Cup. Ecuador are South America’s representatives in Group E and it should be noted that they finished above the much-fancied Uruguay in the CONEMBOL qualifying region. However, they are still reeling from the loss of their former star striker, Christian Benitez, who tragically died of a heart attack in Qatar last summer at the age of 27. Ecuador retired the number 11 jersey in Bentiez’s memory after his death (I assume they will be the only country with a number 24 at the tournament) and hope that Felipe Caicedo can get the goals in his place, though he spent time out of the international setup due to a disagreement with the manager, Reinaldo Rueda. The main man for the South Americans now is Antonio Valencia, but he did not have the best season with Manchester United (a theme of this preview I know) and it remains to be seen if La Tri can rally as one to honor Benitez, or if his loss will cost them any chance of getting to the knockout stages, as they did in 2010. Lastly in Group E is Honduras, whose main players are based in England: Manuel Figueroa and Wilson Palacios, neither of whom look as good as they did a few years ago. Up front, they will be hoping that Carlo Costly gets the goals, while their contest against Switzerland – with whom they drew 0-0 in the 2010 World Cup – in Manaus might be in conditions they find more favorable than the Europeans. Predicted Group Standings: 1. Switzerland 7 pits; 2. France 5 pts; 3. Ecuador pts; 4. Honduras 0 pts. Every time I have filled out a bracket since the World Cup draw was made (and I’ve probably done it a dozen or so times before finalizing my one that is listed at the bottom of this post) I have ended up with Argentina as champions. I just cannot see how a team that possesses the attacking combination of Sergio Aguero, Lionel Messi, Gonzalo Higuain and Angel DiMaria can fail to go all the way, especially given the opponents they are likely to face both in the group and in the knockout stages. Of course, Argentina have a habit of flattering to deceive and have not won any international tournament since 1993 and last lifted the World Cup in 1986, when Maradona inspired them to victory. The pressure is on for Messi, who needs to prove that he can perform as well for his country as he does for his club, while Aguero had the best goals to minutes played ration in the Premiership in 2013/14, better even than Luis Suarez. Even if the main talent up front is not performing, Ezequiel Lavezzi is a very good option for them off the bench and although their defense is not the best, Argentina should rack up enough goals to beat anyone on their day. The rest of Group F is harder to predict, save for the fact that Iran are likely to be the whipping boys for the other three nations. Carlos Quieroz has made them a tough team to score against – they conceded just two goals in eight qualifying matches – but the standard of opposition they will be facing at the World Cup finals will be a lot higher. If Iran are to pose any sort of threat as a force going forward, it will likely come from the attacking midfielder Alireza Jahanbakhsh, the 20 year old who plays his club football in the Netherlands for NEC. In all likelihood, second place in the group will come down to Bosnia and Herzegovina or Nigeria. Bosnia will be hoping that Manchester City’s Edin Dzeko gets the goals up front, while Stoke’s goalkeeper, Asmir Begovic, provides a sure pair of hands behind the defense. The biggest problem for the Europeans is a lack of a quality holding midfielder in the squad, which could put them under considerable pressure against the better teams. As for Nigeria, they are the reigning African Cup of Nations champions and they are very strong defensively, especially with Vincent Enyeama in goal, who is captain of the team and who went more than 1,000 minutes without conceding a goal in Ligue 1 at the end of 2013. In midfield they have John Obi Mikel and Victor Moses – both of Chelsea, though the latter spent last season on loan at Liverpool – while the goals are most likely to come from Emmanuel Emenike. I have not yet seen this reported anywhere else, but while writing my World Cup Memories posts (links: Italia 90, USA 94, France 98, Japan/South Korea 2002, Germany 2006) I noticed a trend: Brazil won their third World Cup in 1970, then it took 24 years for them to win their fourth in 1994; Italy won their third World Cup in 1982, then it took them 24 years to win a fourth in 2006. Germany won their third World Cup in 1990 (albeit as West Germany) and this year’s tournament marks 24 years since they last lifted the trophy – could this be their year? Math and patterns aside, Germany certainly have the talent in the squad to compete with anyone and they have made it to at least the semi-finals in the last four international tournaments. Bayern Munich’s Manuel Neuer is undoubtedly the best goalkeeper in the competition, though the rest of the defense is probably the weakest part of the squad, aside from the formidable Phillip Lahm. Midfield is where they shine and they have a wealth of goalscorers who play behind the striker, most notably Thomas Müller and Mesut Özil, the latter of whom struggled in the middle part of the season for Arsenal, but was otherwise superb. Although Marco Reus suffered an injury in Germany’s last friendly and may miss the tournament, they still have top class choices in midfield with Mario Götze Andre Schürrle, Lukas Podolski, Toni Kroos and Bastian Schweinsteiger. Joachim Low rates Sami Khedira’s effect on the squad so highly. The biggest question mark for the Germans is up front, where they have included only one recognized striker in the squad, the 36 year old Miroslav Klose, although he will become the all-time leading World Cup scorer if he gets two goals at the tournament, usurping Ronaldo. In their final group match, Germany will face their former manager and striker, Jürgen Klinsmann, who is now coach for the USA. 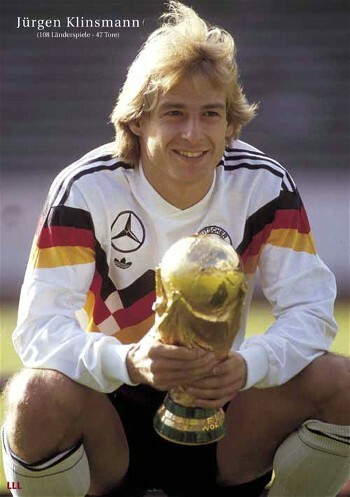 When he was in charge of Germany in 2006, Klinsmann relied on a young energetic team, rather than veterans and it inspired them to a berth in the semi-finals in their own country. This year, he is looking to do the same with the United States team, a move emphasized by his decision not to include Landon Donovan in his squad for the World Cup. That move should not have been as controversial as it seemed – Donovan has been a peripheral player for the national side since his decision to make himself unavailable for the first three qualifying fixtures. Tim Howard is a very reliable goalkeeper who has performed well throughout his more than a decade long spell in the Premier League; while in front of him, Omar Gonzalez and Matt Beslar will need to form a strong central defense pairing if the USA is to have any chance of progressing. Michael Bradley has got more playing time since his move to Toronto FC, but his time in Europe also helped him develop into a very good midfield player and he will be partnered by Jermaine Jones, assuming he can forgo disciplinary issues and remain on the field. Up front, Clint Dempsey has a knack of scoring vital goals, but the same cannot be said at a club level of Jozy Altidore, who struggled this past season at Sunderland. Unfortunately for the USA, they are in a very tough group and as well as Germany, they also face their bogey side from the last two tournaments, Ghana. The Black Stars were quarter-finalists in 2010 and were very unlucky to miss out on a semi-final spot when they were denied a goal by the Hand of Suarez, with Asamoah Gyan missing the subsequent penalty (though to his credit, he did convert his chance in the shootout). Gyan remains the main striker for Ghana, as he has been for the last two World Cups, while behind him sees Kevin Prince-Boateng return to the international fold, after retiring to focus on the club game in 2011. Anchoring the midfield for the Black Stars is the Milan duo of Michael Essien and Sulley Muntari, while on the left-wing they have two good options: either Juventus player Kwadwo Asamoah; or Chelsea’s Christian Atsu, who spent the season on loan at Vitesse Arnheim. Finally, of course, comes Portugal, whose whole tournament rides on the fitness and form of their one world class player, Cristiano Ronaldo. More than anyone else on the planet, Ronaldo can put a team on his back and drag them to victory, but he has been struggling with injury over the last few months of the season and he is now listed as in doubt for Portugal’s first match against Germany. Aside from CR7, his fellow Real Madrid players Pepe and Fabio Coentrao are good defenders, Joao Moutinho of Monaco is clever midfielder, while Helder Postiga somehow gets goals for his country, when he was truly appalling during his brief spell at Tottenham. My head says that either Ghana or Portugal will take second spot, but my heart is with the USA and I am going to back them and Klinsmann to cause an upset by making it to the Second Round. Predicted Group Standings: 1. Germany 7 pts; 2. USA 4 pts; 3. Ghana 3 pts; 4. Portugal 3pts. 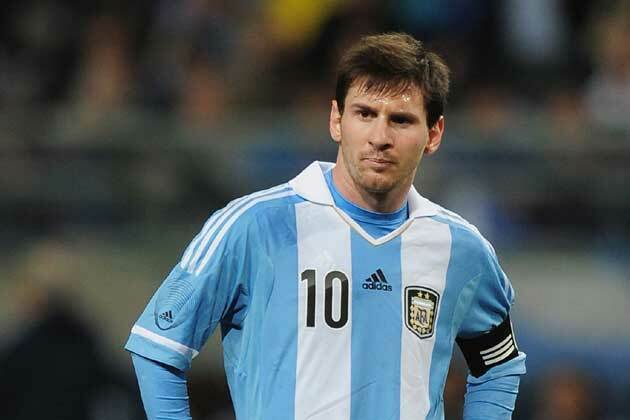 How many people can pick the same nation to be a dark horse for a World Cup before they are no longer an outside bet? 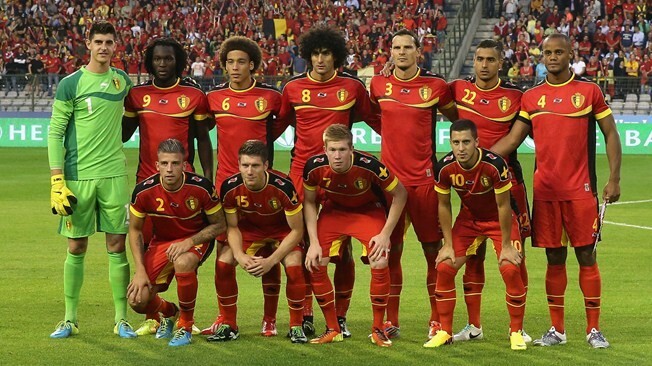 If any team is testing the theory, it is this year’s Belgium squad, who have been heralded as a potential upset choice to go deep in the tournament for the last couple of years. Their quality cannot be questioned, starting with their choice of goalkeepers: either Chelsea owned Thibaut Courtois, who has been on loan at Atletico Madrid for the last 3 seasons and helped them win La Liga title in May; or Liverpool’s Simon Mignolet, who is forced to play second fiddle for his country, but would be first choice for many of the countries at the World Cup. In defense, the Red Devils have Vincent Kompany, Thomas Vermaelen and Jan Vertonghen, while in front of them, Axel Witsel is a crucial cog that gets the team playing. As well as the Premiership based talent, Belgium have in their midfield (Eden Hazard, Moussa Dembélé, Kevin Mirallas, Nacer Chadli, Marouane Fellaini – plus Kevin de Bruyne, who left Chelsea for Wolfsburg in January) they also have Napoli’s Dries Mertens, who adds pace, trickery and a goalscoring threat. Up front, the Belgians could have been formidable had Christian Benteke not been injured, but they still have Romelu Lukaku, who will lead the line well and is always likely to grab a goal. The pressure that is suddenly on Belgium should be eased by the fact that they have a group that they really should get through without too much difficulty. Russia have been a disciplined side that are hard to beat under Fabio Capello, but they just suffered the blow of losing their captain, Roman Shirokov through injury. Considering how many talented players they recently had in various European leagues, it is somewhat strange that now the entire Russian squad plies their trade in their domestic league, but they will likely find that this World Cup is a huge step up in terms of quality of opposition they face. Russia may also struggle with fitness issues, since their league recently switched to play from autumn to spring, so how the players cope with the adjustment will be interesting to see. Their best options going forward will be Yuri Zhirkov, a talented left-winger; the physical presence of former boxer, Alexander Kokorin up front; plus Alexander Samerov, who provides a threat from set-pieces. South Korea are the biggest rivals to Russia in taking second spot in the group and they like to employ a fast counter-attacking style of play. They lack any real quality up front, where their main striker is Park Chu-Young, who is on the books at Arsenal but spent the season on loan at Championship side Watford. One player to look out for is Koo Ja-Cheoi, who plays for Mainz in Germany and is an all-round midfielder who arrives late into the box like Frank Lampard in his day. South Korea are likely to be weak defensively, especially from corners and goalkeeper Jung Sung-ryung’s form has been less than convincing over the last couple of seasons. Finally in Group H, there is Algeria who have Tim Sherwood‘s favorite pet project, Nabil Bentaleb in the midfield. They are a young and promising side, but this tournament might come a little early in the evolution of the team and they are likely to be the whipping boys to the other three counties in the group. Predicted Group Standings: 1. Belgium 9pts; 2. South Korea 4pts; 3. Russia 4pts; 4. Algeria 0pts. So I think Argentina will be crowned World Champions for the first time in 28 years, while my pick for the golden boot is their very own Sergio Aguero.